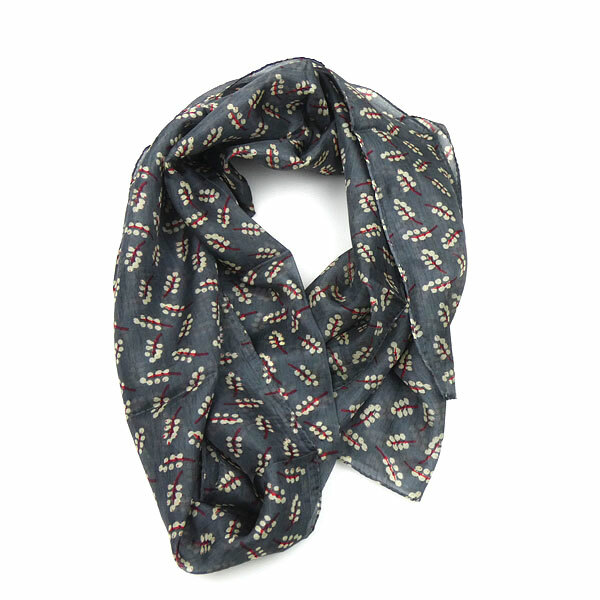 A lovely soft silk scarf in a dark grey on which a rich red and pale grey design is printed. 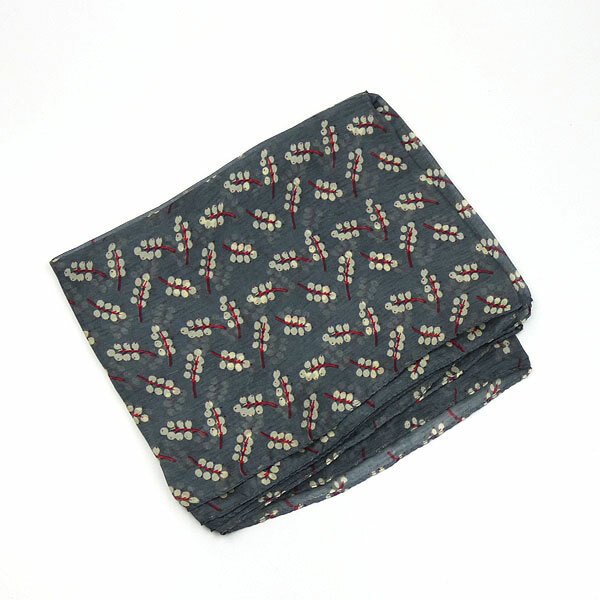 The scarf is beautifully soft and has a delicate sheen. Occasionally, in the light, the red of the overprinted design can give the grey a slight tint of moss green. The design is like little twigs with berries. The scarf is very light and soft and, being narrow and long, can be wrapped or tied in a number of attractive ways. Silk is so lovely to wear, perfect for any outfit for any season, but, wrapped in the neck of a coat, it gives a warmth on chilly days.